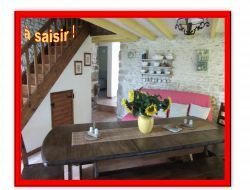 A big holiday home for 8 to 10 people in the South Vendée, with heated swimming pool ideally situated for multiple tourist visits unless one hour. Big ground and enclosed space for the children. 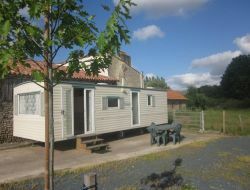 Rent of a mobile home, in 20mn from the sea, was put in a former farm courtyard situated in a afforested valley with a pond where proliferate wild ducks and frogs, cows come to graze the grass there and to drink. Mobile home with water, electricity, showers, toilets, 2 bedrooms. 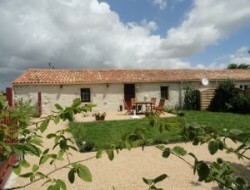 Rent of two gites of charm in Vendée, in 30mn from the Park of Puy du Fou. Their respective capacity from 4 to 6 persons allows to welcome groups from 6 to 12 persons. They are situated in the peace of the nature, by the lake Rochereau, ideal thus for the fishing amateurs or walks in boats. 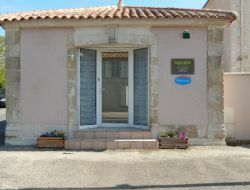 Holiday house 500m from the sea, decorated sea for 5 people with garage (use 4 bike). Rental located at the edge of the forest in mountains near the Avenue of the sea, shops and indoor market, Also the city center and its market. 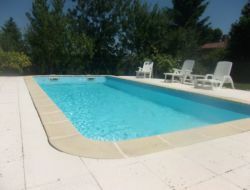 Rent of a pleasant small holiday home situated in the Marais Poitevin, between Luçon and Chaillé les Marais. Holiday cottage with fully-equipped kitchen, shower-room, 1 bedroom (2 beds) with tv space, 2nd spacious bedroom (1 double bed) with access to the garden. Gite situated at 15 mn from all shops, 1 h from the Puy du Fou, 30mn from La Rochelle and île de Ré, 45mn from the beaches of Vendée. 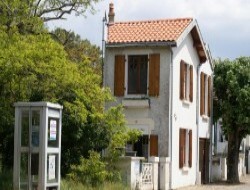 Nearby: Marais Poitevin - Luçon - La Rochelle - Marans - La Faute sur Mer. 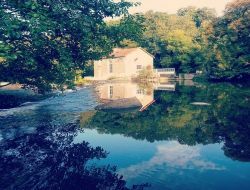 Come to discover our gite for 4/6 people, completely accessible to the handicapped persons, nested in the access of a pedestrian path which will lead you any right in the Marais Poitevin. Holiday home with 2 bedrooms, a big living room, fully-equipped kitchen, flat screen tv..., you will appreciate its peace and its simple but sophisticated decoration. You can take advantage of a laundry, a garden closed with garden furniture, barbecue, and a car park. All for the good holidays in family in Vendée.